February 25, 2017. Self-Directed Learning Process Consultant, Emily Kruger writes about FESAC program in Obregón, Sonora, Mexico. 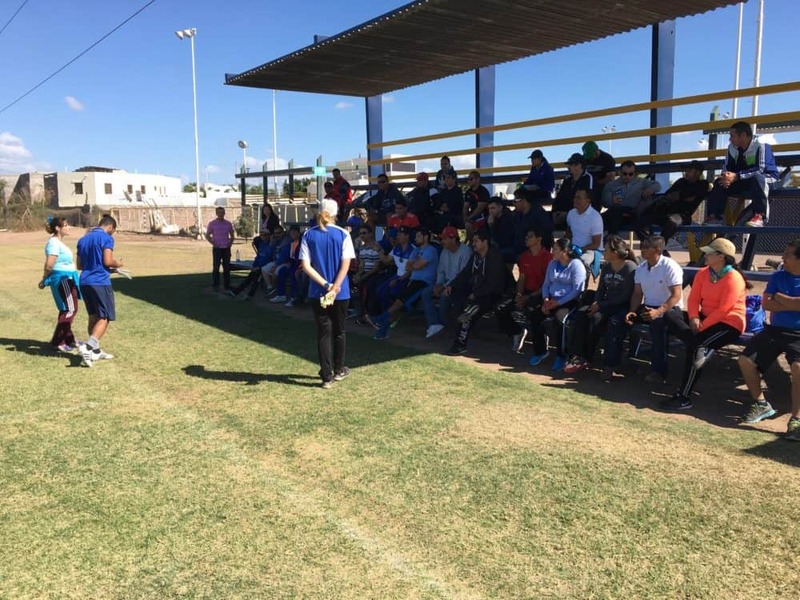 We arrived in Ciudad Obregón after an incredible 4 days with the Physical Education teachers in Hermosillo, who set the bar very high for the three locations in our partnership with FESAC and SEC in Mexico. Within just a few minutes of Monday morning’s Circle of Friends, it was obvious that these 50 PE teachers would bring the same enthusiasm and creative thinking that enriched the week before. This meant another week with a special flare for a Year 2 program, where CAC could confidently share ownership of the week with the participants. When asked about creating and leading their own games, participants made it clear they wanted more responsibility than they took on last year. By Tuesday they were already working together to prepare the session for Wednesday. There were seven groups of 4-5 coaches, each one huddled around big sheets of paper on make-shift tables with markers in hand. We walked around and listened in as they collaborated: pointing, moving, deliberating, drawing, and re-drawing. Within 30 minutes, each group had a full sheet of paper with a diagram up top, description of how to play, and potential questions to ask while leading it. They were even checking the criteria: Are the games you created universally accessible? Is there space for problem solving and critical thinking by the students? Is there a social impact message integrated into the game? We asked if they would be ready to coach them the next day and there was a resounding “sí!” from everyone. My favorite game was called “Muro de Trump” or “Trump’s Wall”. They split the groups into four teams and asked each one to pick a Mexican city that borders the U.S. When the coaches called out a city, that team tried to “cross the border” without being tagged by the border control officers. They added ways to get through border control legally, like obtaining a visa i.e. a ball. This was such a creative, locally-relevant iteration of what I called “sharks and minnows” growing up. 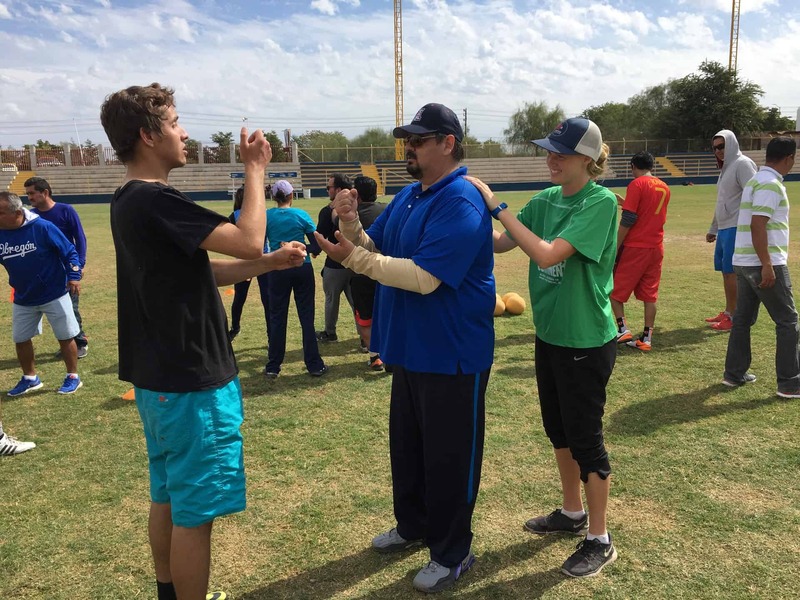 Considering it was a new idea, the coaches agreed that there was more to the metaphor that they are going to work out because they really want to use this game to talk with their students about the realities and dangers of crossing the Mexico-U.S. border. For example, what are the consequences of being caught by border police without a visa? What might happen when you get to the other side? Why do people in Mexico want/need to live in the U.S.? There is so much here to dig into! Not only is it a dynamic game, but it also creates a space for some very important conversations between teachers and students here in Mexico. This game made me see immigration through the lens of people in Mexico. It will be an important conversation and reflection to continue as we travel to Nogales for our final week working with the Physical Education teachers of Sonora, Mexico!